With seasonal heat becoming a persistent problem in our lives, we have aligned ourselves more towards air cooling devices. However, in the process of maintaining the temperature balance of our living spaces, we are contributing to the deterioration of the air quality outside. With constant wear and tear, the air handler unit (AHU) becomes a primary contributor to air damage, not to mention the rising energy costs that one has to bear along with it. Hence, it is necessary that we do our part and reduce the harmful effects. 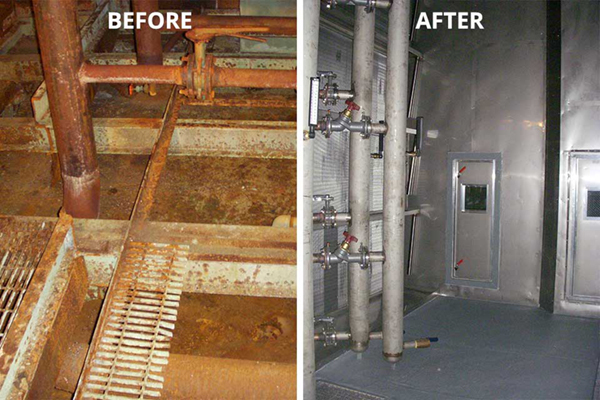 For this, trust Air Cleaning Technologies for its air handler repairs that includes carefully diagnosing and repairing the AHU. Whether you live in Bowie MD, Frederick MD, Gaithersburg MD, Rockville MD, Silver Springs MD or Washington DC, with the help of our professional technicians, having the knowledge of working on different AHUs from different companies with all the necessary equipment, you can rest assured that your air handler will be well repaired. If you are all in for making more eco-friendly choices in your life, then you should periodically repair your air handler unit as a faulty one can substantially increase your energy costs. Along with it, it also elevates your surrounding environment’s pollution levels which becomes harmful for you and your neighbors. So, take a smart decision today and fix your unit; once it is working properly, it will automatically minimize your costs. Repairing your unit on time will also elongate its lifespan, protecting you from any major failures and consequent costly replacements. This means that you can put the machine to good use during essential seasons like the summer months without any interruptions. So, call us today at 703-547-1680 and repair your unit at the soonest.